The good folks in Utah’s state legislature want to bring back death by firing squad, just so the state won’t have to pause their death penalty in case lethal injection drugs become unavailable. “It gives us some maneuverability,” said Paul Ray, a local Republican lawmaker, bracing for the inevitable eventuality that foreign manufacturers will stop supplying drugs to states for lethal injections. Under his proposal, the inmates will be assigned a firing-squad execution if the drugs can’t be procured 30 days before the date of death. While some, including the local Catholic Diocese, spoke out against this, ahem, precautionary measure, it cleared the initial committee with a 9-to-2 vote. Surprisingly, Utah last executed an inmate by firing squad quite recently, back in 2010. (Though the method was nixed back in 2003, the inmate was grandfathered in.) 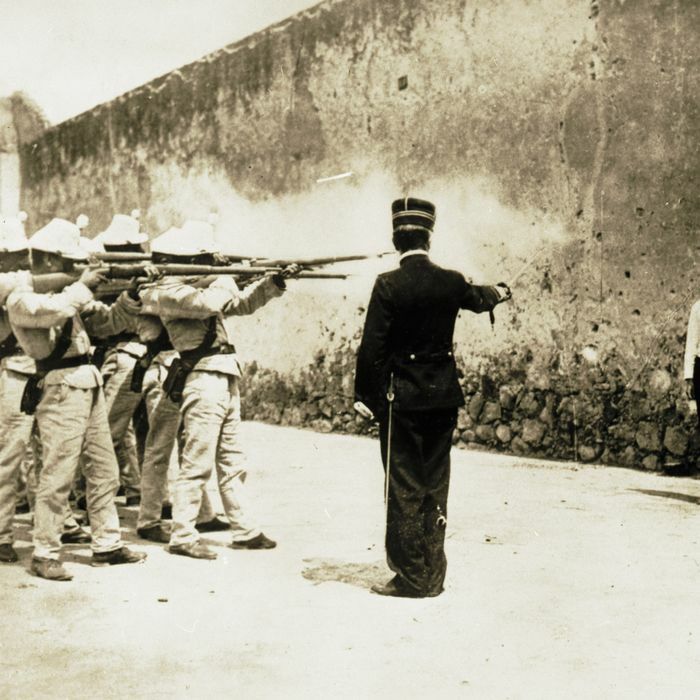 But based on how recent lethal-injection executions have gone, firing squad might not be such a gruesome idea.